This spacious home sits on a corner lot with a nice yard and no deed restrictions! 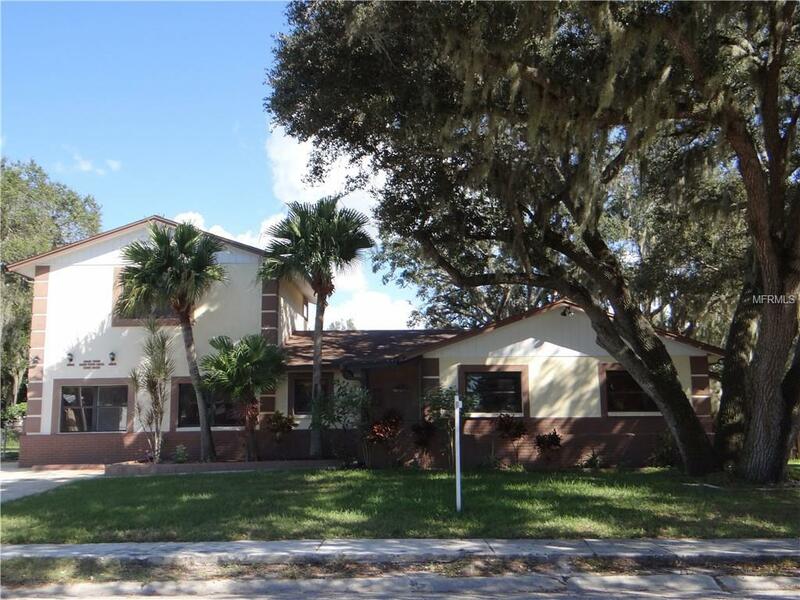 Comfortable for the large family or if you just need extra room youll find it in this 4 bedroom, 3 bath, pool home. The first floor has three bedrooms, two bathrooms, office/mudroom at the bottom of the stairs and a laundry room. The large eat-in-kitchen has cabinets galore. As you access the second floor a separate sitting area greets you before you enter the large 21x11 room with lots of natural light. The upstairs room can be used as another master bedroom, a teen room, additional family room, playroom, an office or private space for your guests. Updates Sept/Oct 2018 include: new 100% waterproof vinyl wood flooring throughout the house, new baseboards, the oversized pool has a new vinyl covering, new screens on the pool cage, new plumbing fixtures, new toilets, trees trimmed. This is a clean home waiting for new owners. Listing provided courtesy of Wiegand Realty.